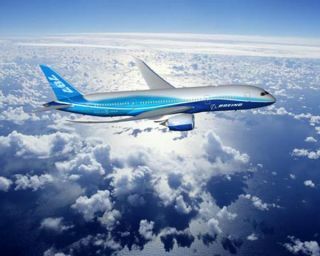 Boeing has suffered yet another setback with its mid-sized carbon fibre/plastic composite Dreamliner 787 aircraft. In its fifth major delay, engineers recently discovered a structural defect while conducting static stress tests. The problem area is in the body side, where the wing and fuselage meet, and will require reinforcement before the company considers flight tests. According to the company, a team of experts has already identified several potential solutions. Scott Carson, President and CEO of Boeing, said, "Structural modifications like these are not uncommon in the development of new airplanes, and this is not an issue related to our choice of materials or the assembly and installation work of our team." However, the Seattle Times reports aerospace analyst Richard Aboulafia saying that he's never seen an airplane roll-out delayed this close to its first scheduled flight. The implications of another delay could be signficant. The Dreamliner was initially scheduled to to have its first test flight in August 2007, with first deliveries in May of last year. At the moment, the company has not even committed to a new date for its first flight. Boeing currently has over 850 orders for the delayed aircraft, which uses advanced technology throughout, from its worlds-first composite/aluminium/titanium airframe to large, auto-dimming 'smart glass' windows, LED cabin lighting and an LCD-screen based 'glass' cockpit.